In 2013, HMRC published a list of "Top 10 tips" for companies who make repayment claims under the Construction Industry Scheme (CIS). 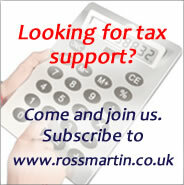 The list is no longer available on the HMRC website but still provides a useful checklist. Ensure the company’s Agent is authorised specifically for PAYE to act on its behalf for CIS repayments. Form 64-8 is used for this purpose and this can be downloaded from the HMRC website and sent to the National Insurance Contributions and Employer Office, HM Revenue and Customs, BX9 1AN. You can also use the online authorisation service. Double-check that the Unique Taxpayer Reference (UTR) and the company subcontractor’s name are correct on all documents. Check that all the company’s Payment and Deduction Statements that HMRC have requested to process the claim are sent and that they are for the correct period (the tax year runs from 6 April in one year to 5 April the following year). If the company was incorporated during the year, ensure that its claim for repayment is only for deductions taken from the company’s payments and not any for periods before incorporation. Check that the CIS deductions taken from the company’s subcontractors are correct and have been reported correctly on the monthly returns. Check that the company has no outstanding returns (old paper CIS300) in its capacity as a contractor within CIS. Ensure that the final Employer Payment Summary (EPS) showing CIS deductions taken from the company’s payments, as well as all Full Payment Submissions have already been submitted. Submit any information requested within the timescale specified by HMRC, such as following receipt of a ‘CIS suffered letter’ and that you have included everything that HMRC has requested. Where there are overpayments that do not relate to CIS, please verify how these have arisen by providing supporting documentary evidence to HMRC along with the company’s claim for repayment. Where the company has ceased trading, please remember to send in all outstanding returns for the subcontractors. HMRC introduced the CIS Repayment i-form in 2017, which can be used by limited companies to reclaim a repayment of CIS deductions where too much tax or NIC has been paid. A government gateway ID is required to use the form. Access the online form here by logging in to your Government Gateway account. If claiming in writing, send to National Insurance Contributions and Employer Office, HM Revenue and Customs, BX9 1BX. To ensure your letter gets to the right section include your PAYE reference and the word “CIS” in your letter. HMRC can make repayments through BACS and if this is preferred the company should send bank account details with the claim. Repayments can be set off against a corporation tax or VAT liability if you ask HMRC to do so.